Abrams was found dead on Thursday, November 24, suffering from diabetes and with no known place of his own to live in. American singer, Colonel Abrams has died homeless on the streets of New York City aged 67. Friend DJ Tony Herbert announced his death on Facebook. He wrote: ‘Just got word that Colonel Abrams has past away on Thanksgiving, one year to the date that I along with… a host of his biggest fans fought to get him to let us help him. ‘Now he is at peace and our condolences go out to his family, and fans world wide, he is no longer suffering or Trapped!! !’ Herbert added. Abrams was found dead on Thursday, November 24. He was homeless and had been suffering from diabetes. In the late 1960s, Abrams formed the Conservative Manor band with his brother Morrisbefore becoming the lead singer of the group 94 East in 1976, with Prince – who also died this year – on guitar, but the band dissolved after Prince became a successful solo artiste. In 2015, A crowdfunding campaign was launched through GoFundMe in order to help Abrams due to his ill health and homelessness. 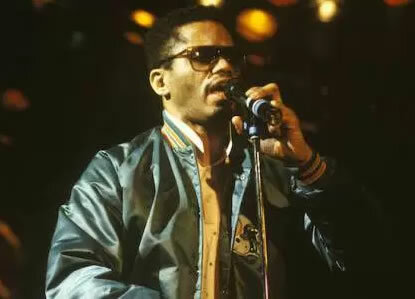 The singer is best known for his 1985 hit song ‘Trapped’, which reached number three in the UK and also topped US singles charts at the time.